You don't often hear an inter-county manager saying it was the wrong decision taking on the job, or it was wrong that they were offered the job in the first place. But Pat Holmes did admit last Saturday night that when he was appointed Mayo manager for the first time in 1999 it probably wasn't the right choice by him to take it on or for the county board to offer it to him. But as of now, he fully believes that the time is right for himself and his trusted partner Noel Connelly to take on the challenge. Both men sat down with the Mayo GAA press pack, last Saturday night after the launch of the new Mayo jersey, the 2015 Cáirde Mhaigheo package and the appointment of Dr Sean Moffatt and Liam Moffatt as Mayo GAA's new Medical Director and Lead Physiotherapist respectively as part of Mayo's new Payer Welfare Initiative. The evening also saw the announcement that Elverys Sports would be staying on as Mayo's sponsors until 2020 at the least. For Holmes who initially ruled himself out of the running for the job in the immediate aftermath of James Horan ending his tenure as manager, there's a little bit of unfinished business involved in the job having previously managed the team in the early few years of the century. When I got the call, I hadn't even considered it, I obviously said no, I don't have time for that and then it's like anything when you start to think about it and consider it.” But things changed as time went on he explained, “We started to talk about it and discussed it, I've the same considerations as Noel has with a young family. But you have to weigh that up against the actual opportunity and I got involved with Mayo (as a manager ) in 1999 when I was 33-years-of-age, never managed an u12 team and all of a sudden here was I managing a group of players, who I'd actually played with four weeks previously. I was ill equipped at that time to manage a senior inter-county team and just circumstances threw it my way, being young and having no fear and I went and did it. I don't regret doing it, but looking back it probably was the wrong decision and was probably the wrong decision to be offered it in the first place. “I just believe that I've learned a lot over the past number of years, there's a gap where your not managing players that you played with or whatever. I've experience working with Noel which went very well and we worked very well together, I don't believe we ever had a cross word in our four years together or a disagreement, we'd discussions alright but never a disagreement. When we started to discuss it, these opportunities you can look about and say when is the perfect time to do this? Is it wait until the kids are grown up or wait until that or this happens or whatever. There is no real perfect time, this is as perfect as it gets for us, in that we have worked with all of these players or 85 per cent of these players for a full year, and it was it if we didn't do it now, it would be never do it. That's the reason we decided to go for it” he said. It's going to be no easy task for the pair to fill the shoes that James Horan has left behind him, but neither Pat Holmes or Noel Connelly will give it anything but their best. How good that will be? We'll start to find out in the not to distant future. 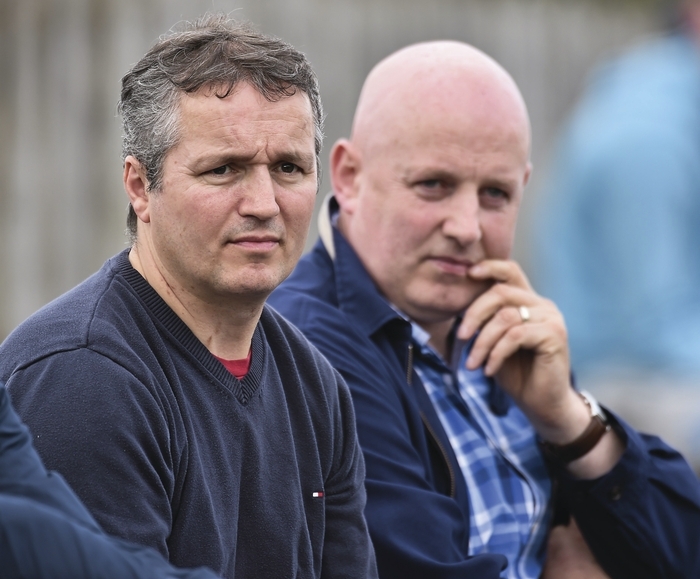 Can Ballyhaunis hit into second Connacht final?